St. Paul of the Cross, (1694-1775), visionary and mystic, was a seeker. He had a questioning heart. He was a man on a lifelong journey of faith that took him inward to the deepest part of his soul and outward as a preacher to the harshest terrains. His heart was attuned to the needs of those suffering around him. That same longing resonates in the hearts of young and old alike today. Deeply believing that, “The world lives unmindful of the sufferings of Jesus which are the miracle of miracles of the love of God,” St. Paul of the Cross set out to establish a religious order, Congregation of the Passion of Jesus Christ, Passionists, which would be dedicated to spreading the message of the love of Christ Crucified. He knew this message was imperative in helping those who suffer find hope, healing, compassion, mercy and love. Passionists now have communities on every continent. Learn more about St. Paul of the Cross’s determination, devotion, love for Jesus Christ and deep service to humanity. If you feel the desire to live a life dedicated to offering hope, healing, compassion, love and mercy, please visit our vocations page. Paul was determined to gather companions who would live together in community and promote this new message. It took from 1720 to 1741—twenty-one years of humble service as a hospital chaplain and traveling preacher combined with quiet perseverance in the face of official Church rejection—for Paul to receive his first papal authority to found his religious order, The Congregation of the Passion of Jesus Christ. For over 40 years, Paul and his companions, the Passionists, preached the loving memory of the passion and death of Jesus Christ. Paul challenged those who listened to die a mystical death with Christ so as to rise up with Christ to a life of faith and love. The sick and the poor remained special recipients of Paul’s care, but he also preached to the clergy and reminded them of their obligations to serve the neglected. 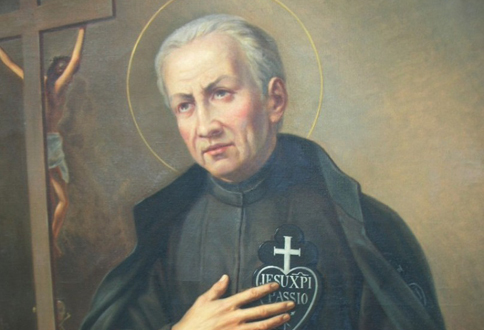 After many years of preaching, teaching and serving the Passionist community as its founder and leader, Paul died in 1775. His feast day is celebrated in the United States on Oct. 20. Error: Error validating access token: Session has expired on Monday, 18-Mar-19 14:16:37 PDT. The current time is Thursday, 18-Apr-19 17:26:20 PDT.